A genre-spanning page-turner which makes the dichotomy between the sciences and humanities seem artificial and irrelevant. 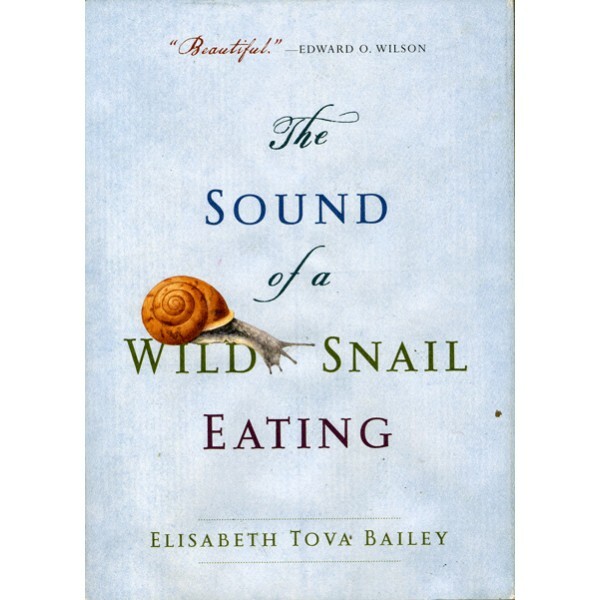 It seems I'm late to the party, given that this book, by Elisabeth Tova Bailey, has received countless accolades as well as the 2011 John Burroughs Medal. But all the praise is spot-on, because this book is great. The premise is simple. The author, bedridden, largely immobile, and insomniac, is given a pot of violets also containing a wild snail. She thus passes many of her hours observing the critter and its habits, charting its behavior and her interactions with the snail parallel to her own illness and gradual (though incomplete) recovery. But there's more to it: while tracking the story of how the snail becomes Bailey's roommate / companion rather than pet, the book is also a highly entertaining overview of gastropods in general, from their evolutionary history to their courtship rituals, and a story of how humans - from scientists to poets - have studied and depicted snails through the ages. Kathy Bray's illustrations add yet another dimension to the text, and look like something by 17th century naturalist Maria Sybilla Merian. I loved the style. Bailey's prose is straightforward and quite funny at times, and I think that even 12-year-olds would get something out of this book. It's not flowery, and pretty stoic - I admire the lack of self-pity. And even the more philosophical parts are free from the faux mysticism of books like The Alchemist. For more information on the book, I highly recommend taking a look at Bailey's website. My favorite part is this slideshow presentation about the making of the book - the audio track includes recordings of a little snail munching away (yes, it's actually audible). PS: If T asks about having a pet again - she wants two dogs, a brother and sister she'd call Percy and Pink - I will definitely propose getting a snail. The back of the book contains a little how-to guide for making your own terrarium, though Bailey emphasizes that gastropods are best left in their natural habitat. If you must keep one: "Treat your snail gently, minimize handling, and return it to the same location where it was found, within the same season" (178).